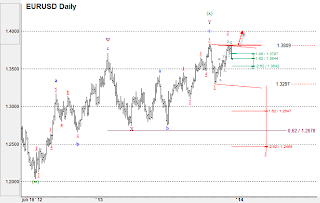 Estimated pivot point is at the level of 1.3810. 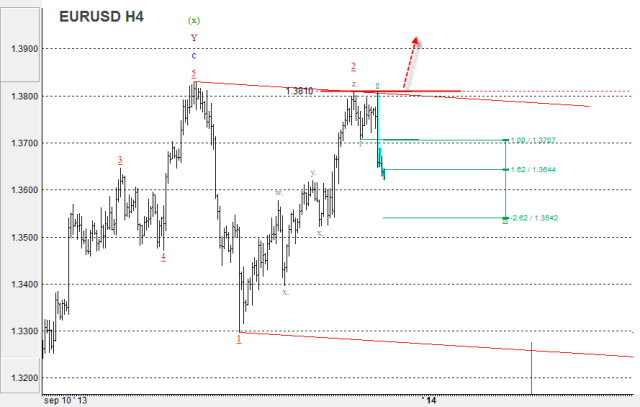 Our opinion: Sell the pair below the level of 1.3810 with the target of 1.33 – 1.32. 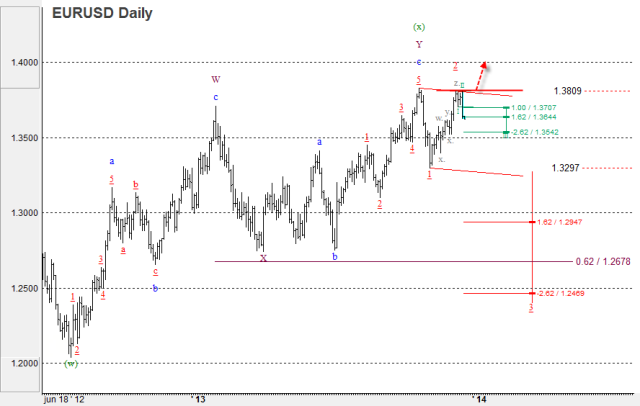 Alternative scenario: Breakdown of the level of 1.3810 will enable the price to continue growth to the level of 1.40. 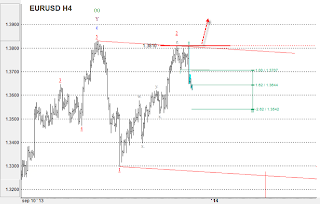 Analysis: Presumably, ascending correction as the second wave, which took the shape of the double zigzag wxy has completed. Correction was deep. Locally, formation of the first impetus in the third wave of the higher level is ongoing.